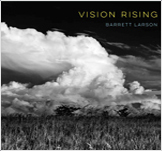 Barrett Larson are Michael Barrett and John Larson. 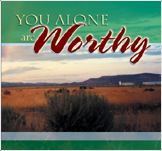 We are homegrown musicians who hope to honor Christ and share an affirmative testimony of His love through song. Our collaboration on Vision Rising started in the fall of 2012 when we sat down to try our hand at recording a song together. The session was an experiment, and the product of that experiment is track 2, "Orphaned Kingdom." Something must have felt right, since we recorded "The Offensive Song" a month later. Mid-recording session, John started playing a riff that eventually turned into "Helping Hand," and—without announcing it—Michael started recording it and jotted down a few lyrics. The song sat on the back burner for a few months, but in that moment an idea was born: we could, if we wanted to, actually put together a full-length album. Over the course of the next 2 and a half years, we experienced an adventure in musical composition that neither of us had anticipated. Between John's lyrics and Michael's ability to "hear beyond" the demos, we began to create a space for the other to occupy in our composition processes. Through our new cooperative approach to song writing, we learned to see the kingdom-building process afresh. We learned to respect each other's talents, insights, and criticisms; and we learned to yield to the artistic ear of the other when our vision did not mesh. At the close of this project, while we are already looking forward to our next cooperative project, we feel remarkably blessed to have discovered a new joy and depth of musical artistry we had not experienced as individuals. Our hope is that these tracks radiate some of that vision we feel about the project. While our songs may not always reflect these artists, some of our musical influences include Andrew Peterson, Rich Mullins, Josh Garrels, U2, Bon Iver, Matthew Perryman Jones, and Sufjan Stevens. Verse 1 What if I rose in the morning Fell on my knees in prayer And didn't leave ‘til I found Your spirit there And what if I'd see Jesus In every soul I meet What if I could bow And let my tears wash your feet And what if I felt my heart Would break without you there What if I needed you Just like water, food, or air Verse 2 And what if I turned my head Every time they slapped my cheek Instead of trying to be so strong Admit I'm weak And what if I lived my life So everyone would know That you're my God I worship you everywhere I go And what if I saw your face In everyone I meet What if I bow down And let my tears wash your feet And would the people say That you're their God as well What if I? What if I? And on and on it goes These questions in my mind What if I? What if I? Verse 3 And what if I'd call patience My very best friend Live out every trial With faith to the end And what if my songs Were filled with your love And your kingdom come on earth What I dream of And on and on it goes These questions still haunting me What if I Could set your spirit free And in the end I hope One day to get it right What if I? What if I? 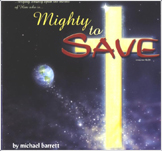 © 2015 Mighty To Save. All Rights Reserved.